Comparing Robotic Assisted and Manual Surgery techniques and procedures. Robotic-arm assisted surgery is associated with improving early functional recovery and reducing time to hospital discharge. Improved Accuracy of Component Positioning with Robotic-Assisted technology. 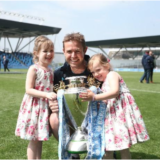 Professor Fehily has pioneered the use of the MAKO robotic system to assist during total hip replacements in the North West. The robotic technology provides a personalised surgical plan for joint replacement surgery. Mako is the world leader in robotic assisted joint replacements with more than 12 years experience and over 125,000 joints implanted world-wide. 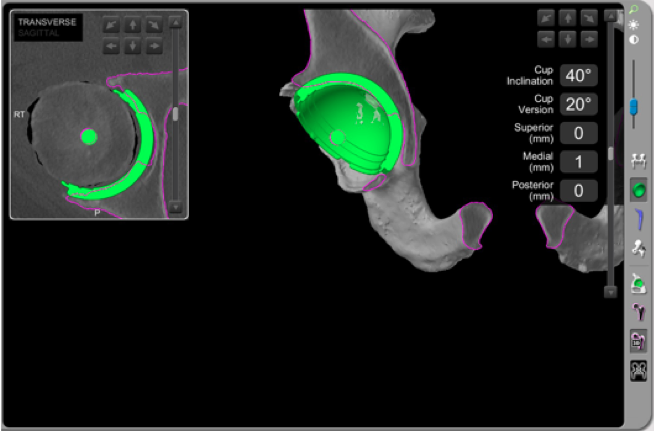 CT scans are used to create a 3D model of the patient’s hip for pre-surgical planning. In the operating theatre, Professor Fehily follows the personalised surgical plan while preparing the bone for the joint replacement. The MAKO robotic arm guides him within pre-defined areas which prevent him from moving outside planned areas, avoiding the removal of healthy bone tissue. As the surgeon uses the robotic arm to prepare the hip joint for the placement of implants, the robotic arm uses real-time feedback to guide the surgeon’s movements enabling an un-paralleled degree of precision and accuracy in placing implants. 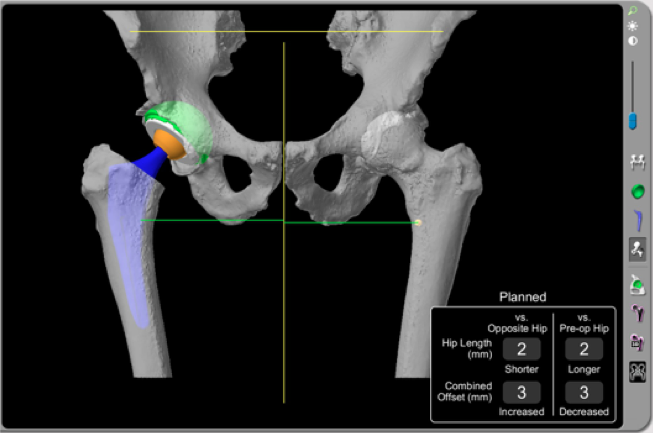 Based on pre-operative CT scans, the MAKO system generates a 3D model of a patient’s hip joint. This 3D model is used by the surgeons to determine how much bone to remove, and where to place the implants that replace diseased sections of these bones. Without MAKO, surgeons work by eye, looking at the bone itself to determine whether enough has been removed. This can lead to an increased risk of component malposition, early failure or leg length change. MAKO tracks healthy and diseased bone so the surgeon can clearly see how much bone should be removed. The robotic arm is equipped with a reamer and the surgeon is free to remove bone within the boundaries identified during the planning stages. If the surgeon attempts to move outside these boundaries, the reamer will turn off. This helps the surgeon minimise the trauma to the hip and preserve the maximum amount of healthy tissue. The robotic arm determines exactly where the implants go: improving function, reducing pain and potentially reducing wear, allowing the new hip to last longer and feel more natural. 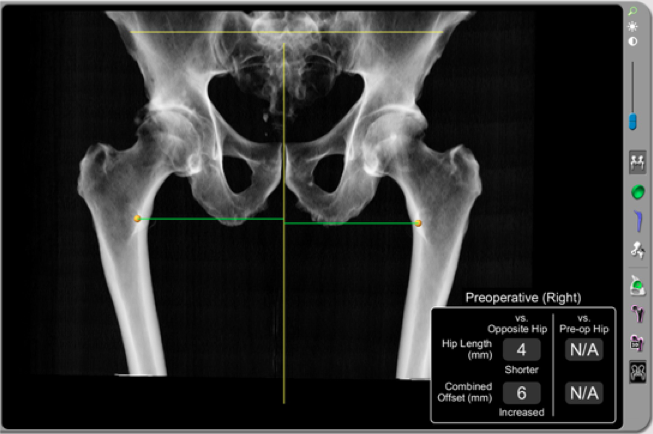 Prior to surgery, a detailed CT scan is carried out which shows the exact shape of the hip and leg length. Using that scan, our MAKO specialist and Professor Fehily design a detailed surgical plan determining how much bone to remove and where exactly to place the implants. Once the joint surfaces are registered with the MAKO, the robotic arm is used to prepare the bony surfaces and the impants are inserted according to the detailed plan.